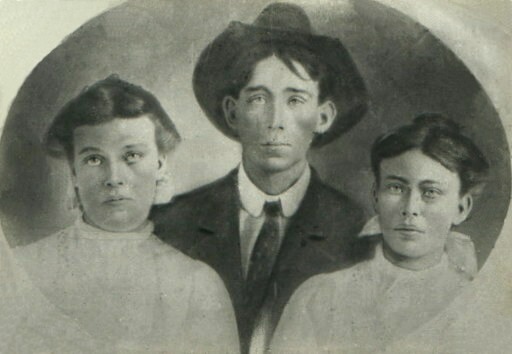 Rose MALICOAT, born 28 July 1892 in Indian Territory (now Garvin Co., OK), died 3 Sep 1923 Pauls Valley, Garvin Co., OK, buried in the Lewis Cemetery. 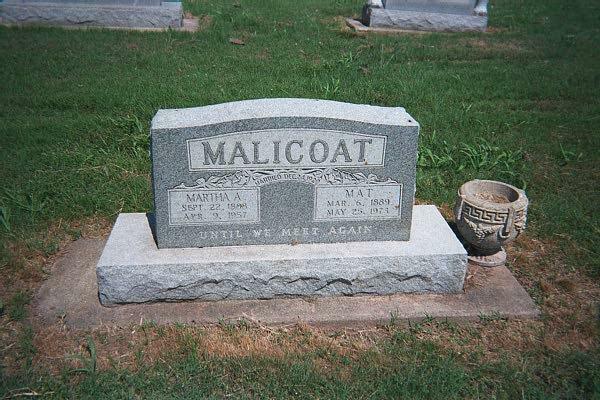 Mat MALICOAT born 6 Mar 1889 in Indian Territory (now Garvin Co), died 25 May 1973 Pauls Valley, Garvin Co., OK, buried in the Mt Olivet Cemetery. See a picture of Mat’s Headstone below. Dolly Mae MALICOAT, born 27 Oct 1893 Indian Territory (now Garvin Co., OK) died 30 Dec 1964 Pauls Valley, Garvin Co., OK, buried in the Antioch Cemetery. See a Picture of Dolly when she was older.